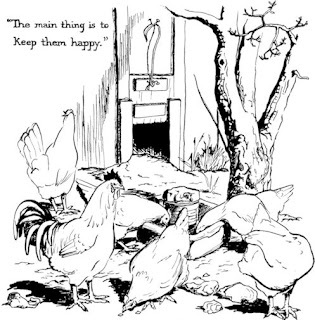 In times like these, with all the issues about animals suffering at the hands of the factory farming industry swirling about -- for one, the 250 million hens living under inhumane conditions in U.S. egg factories today -- it's refreshing to look back to a simpler time when farm animals were widely treated with much greater kindness and love. Then, in the early 20th century before the advent of mass animal production, small family-owned farms raised their herds and flocks to feed America's growing population with much more concern for the animals' welfare than, sadly, modern farming conglomerates do today. 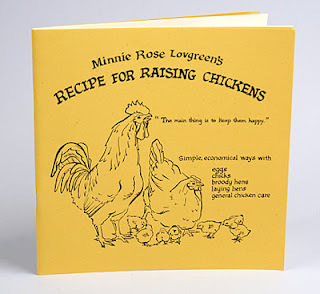 The book Recipe for Raising Chickens by Minnie Rose Lovgreen, who was born in 1888 in England and crossed the Atlantic in 1912, brings one back to the good old days when animal welfare mattered a whole lot more than it does today. Referring to raising them, Minnie's philosophy was based on 60 years of chicken care after immigrating to America and eventually settling on a Bainbridge Island, Washington farm she and husband Leo established, is simple. 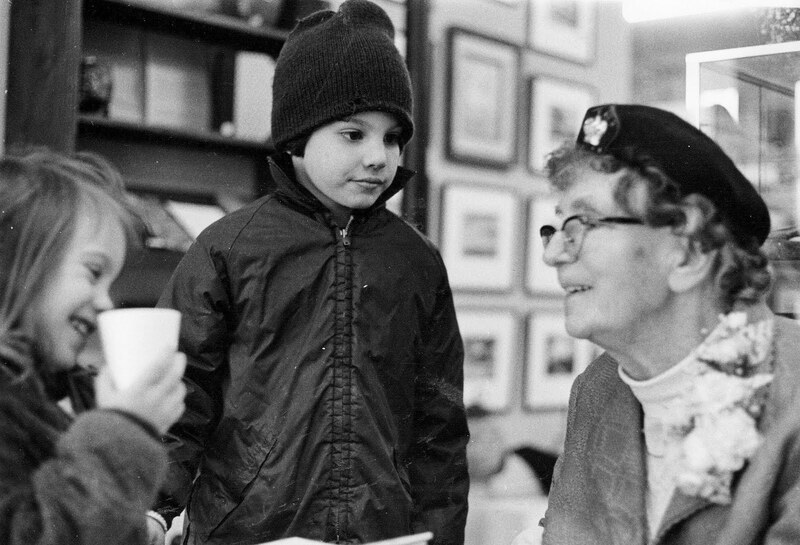 "The main thing is to keep them happy," she tells us in her book that was first published in 1975 when the author was 86 years old. 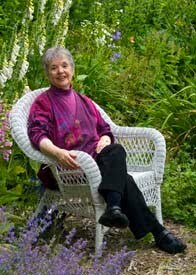 In a very endearing way, the late author relays in a folksy down-on-the-farm kind of way her personally-tested advice about raising hens that are productive eggs layers. Hens shouldn't only be used to hatch eggs for us, Lovgreen implies, though, going on to describe in a congenial, neighborly fashion how to coddle mommy chickens so they will hatch their young, until the chicks are old enough to fend for themselves. More often, than not, she adds that might require a helping human hand now and then. "Sometimes a chick finds it difficult to get out of the shell...A person should never interfere and try to help a chick (hatch)," she says. "The hen does the job much better with her body heat," Lovgreen explains in the section titled The Broody Hen & Her Eggs. 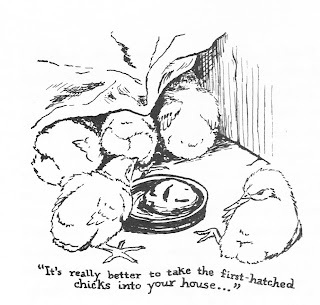 But then in the next chapter on Baby Chick Care, the writer goes on to advise us that sometimes helping the new mother is a good thing, "It's really better to take the first-hatched chicks into your house for a while as soon as they've (the newly hatched babies) dried off under the hen. Then the hen gives more heat and more attention to the unhatched ones." Though Minnie Rose Lovgreen died shortly after her book was published, she passed away with the knowledge that 21,000 copies of her book were selling nationwide. That first legacy edition, as well as a second that followed are both long out of print and not easy to find. The good news is that a third edition, the actual book on which this review is based, was published just about a year ago. Minnie Rose Lovgreen's Recipe for Raising Chickens, Third Edition, $13, is published by NW Trillium Press. The extraordinary story was told by Lovgreen to her friend and neighbor Nancy Rekow, who beautifully hand-lettered the entire text. The whimsical black and white illustrations of the Lovgreen spread, hens and chickens by Elizabeth Hutchinson Zwick, another neighbor who knew and loved the author, only add to the overall old-fashioned vibe of this title and make this is classic that will endure to be enjoyed by kids and adults alike for generations to come. FTC Disclosure: MommyBlogExpert received a copy of the book reviewed, but did not receive any payment or other compensation associated with this post. See complete FTC Disclosure information that appears at the bottom of MommyBlogExpert's main page and at the bottom of every individual post on this blog, including this one.